We can help make the dream come true for you. You have bought a piece of land in Portugal – congratulations! So, there you are – the proud owner of a piece of this beautiful country. What happens now? Finding and buying your piece of Portugal was quite painless – there were any number of professionals facilitating the purchase for you – speaking your language and steering you through the intricacies of the legal process. But now you need to choose the right team to take your project forward….and you want to have options. Where are the independent professionals to give you the support you need? Who helps you choose the right builder? Who helps you find the best architects and engineers? Who smoothes out the planning process for you? Who ensures that you do not pay over the odds for your construction project? Who is there to defend your interests and to make sure that all parties are working with a common purpose - to ensure that your project is completed on time and to the high standard which you demand? 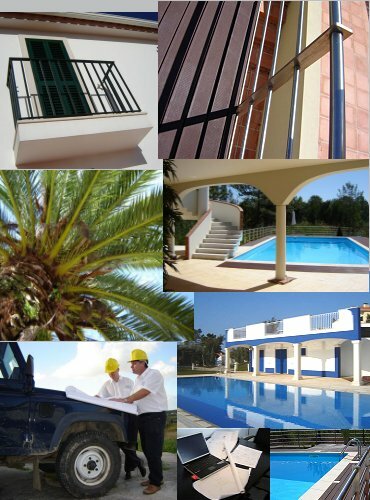 For more information on building your dream Villa on Portugal’s Silver Coast - contact us now.